WHO: WSRE public media, PBS KIDS co-host Mr. Steve (Steve Roslonek) and more than 40 community organizations and exhibitors including: Abrakadoodle Pensacola, Alert Today Florida, Belly to Cradle Birth Care, Bikers Against Child Abuse, Blues Angel Music Foundation, City of Pensacola Parks and Recreation Department, Community Action Head Start, Dynamic Life Chiropractic, Early Learning Coalition of Escambia County, Escambia County Emergency Medical Services, Escambia County Sheriff’s Office, Every Child a Reader in Escambia (ECARE), FamiliesFirst Network of Lakeview, First City Arts Center, Florida Department of Health 5-2-1-0, Florida Highway Patrol, Global Corner, Gulf Coast Kid’s House, Hoop Flow, Humana Medicaid, Keep Pensacola Beautiful, Kona Ice, Lighthouse Health Plan, Mathnasium, Montessori School of Pensacola, Pensacola Fire Department Station 6, Pensacola MESS Hall, Pensacola Police Department, PSC Campfire Child Development Center, Pensacola State College Cosmetic Arts Department, Pensacola State College Dental Hygiene Clinic, Pensacola State College Kids’ College, Prevent Child Abuse Florida, Sibshops, TLC Caregivers, Tennis-4-Everyone, West Florida Public Libraries and Winterfest. Sponsored in part by Alert Today Florida, Escambia County Sheriff’s Office, Gulf Power, Prevent Child Abuse Florida, Cox Media, Lamar Advertising, Cat Country 98.7 and NewsRadio 92.3 FM & 1620 AM. 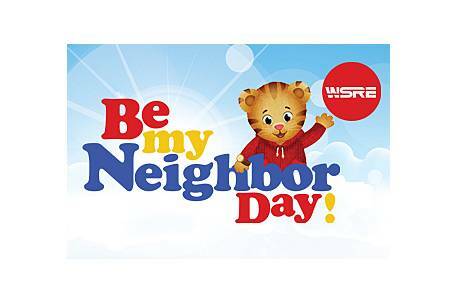 WHAT: Free, family-fun event with performances by PBS KIDS co-host Mr. Steve, appearances by Daniel Tiger and Katerina Kittycat from “Daniel Tiger’s Neighborhood” and more than 50 indoor and outdoor activities and exhibitors. WHEN: 10 a.m. to 2 p.m. Saturday, April 27. Doors open at 9:30 a.m. On the Amos Studio stage: Mr. Steve shows begin at 10 a.m., 11:30 a.m. and 1 p.m.; Daniel Tiger and Katerina Kittycat meet and greets begin at 10:30 a.m., 12:00 p.m. and 1:30 p.m. Indoor and outdoor activities and exhibits will be ongoing. WHY: To promote early learning, health and safety resources, and the neighborly values of Mister Rogers for Pensacola area families with young children. HOW: Admission is free. Stroller parking available outdoors; no strollers inside studio.